EdFact: Friday FunDay? How to keep students engaged on Fridays. Friday FunDay? How to keep students engaged on Fridays. 1. Round table check in: How is everyone doing? What was stressful about this week? How did you deal with it? What is one thing you learned in general? 2. Topic Review: Ask each student to write/share one thing they learned in this class on the board. No students are allowed to pass on this! 3. Fill in the gaps: Here is the teacher's chance to go over any PLOs that were not written on the board by the students and to have a discussion around the topics that students did not list. 5. You could even require students to be in charge of the game/clips to be shown on Friday! This gets them thinking outside of the class. 6. 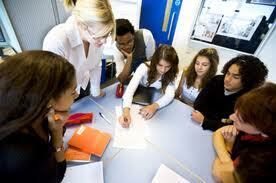 Discussions: You could have a hot topic related to your subject that students can debate/discuss in class. Again these could be given out in advanced or be required for students to run on Fridays making each student responsible for their own learning.